"But if we ever do recover the dataprobe, think of what we will learn!" Great hordes of players across the world are eagerly awaiting the release of KeyForge. 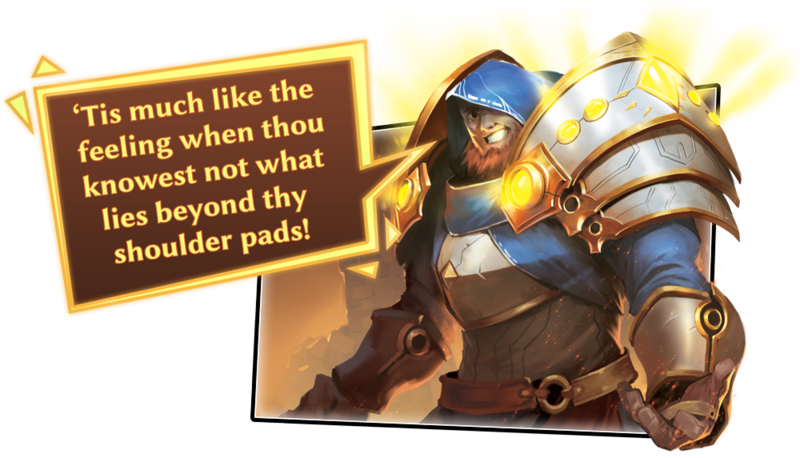 So are the countless players who have not yet found a KeyForge community but are ready, nonetheless, to begin their search for the Crucible's many hidden Vaults. Are you one of them? You may be. And if you are, KeyForge Organized Play will be your link to the others. As you might have read in our introduction to KeyForge Organized Play, the Dawn of Discovery focuses on the exploration, discovery, and enjoyment of new decks—as well as the different ways you can play the game. The truth is that because KeyForge is an entirely new species of game—a Unique Deck Game—it lends itself well to a wide variety of formats and variants, which arrange themselves, quite neatly, across the spectrum of casual to competitive. Today, as we look forward to getting our hands on some of the game's quadrillions of possible decks, we'll take a closer look at its many formats and variants… some of the nigh-infinite ways you can go about exploring and enjoying your decks! 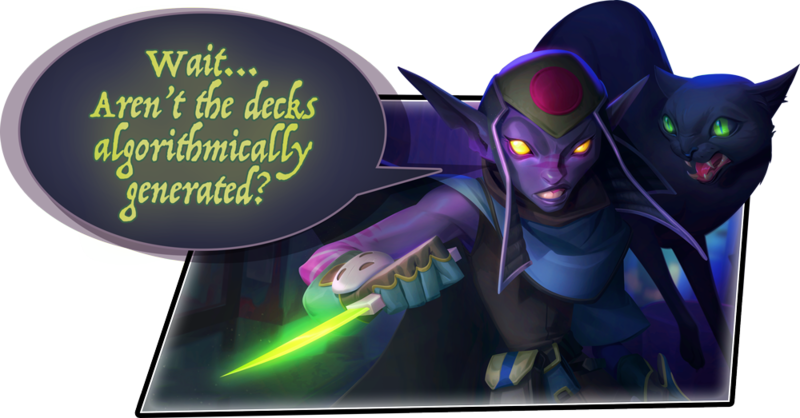 Every deck is generated according to an algorithm that guarantees the deck is playable. There are no resource costs to play your cards. There is a tremendous amount of skill potential in choosing the right House to activate, the right creatures to use, and the right cards to play (and the right order in which to play them). Reading the evolving "metagame" will be a uniquely challenging prospect for players coming to KeyForge from other card games. Why do we raise these points before we address the game's formats and variants directly? Because the Dawn of Discovery is all about exploring the myriad possibilities hidden within the game, within its cards, and within the different decks you might collect. The more you explore these things, the more you'll see how all these points (addressed above) express themselves in your games. For example, the sealed format is a long-time staple of competitive card games, and it will be a central part of KeyForge, as well. But "sealed" decks in KeyForge are quite different than those from other customizable card games. You don't gather a random pool of cards and then build a deck from it; instead, you get a random deck. When all your decks are completely unique, how is sealed any different than your standard Archon format match? It's different because you're not choosing the deck that features your favorite card combinations. You're doing your best with whatever you open. You're learning how to play the deck during the event. And your opponents are all learning how to play their decks during the event, as well. There are two formats: Archon and Sealed. In the Archon format, you choose the deck or decks you bring to an event. In the Sealed format, you open one or more decks at the event and play with no advance knowledge of your deck's strengths and weaknesses—nor may you see your opponent's deck list. The standard way to play in either the Archon or Sealed format is called Solo. In Solo play, you use a single deck throughout a whole event. Simultaneously, the game's variants each offer a slightly different take on the value of your deck or decks. These variants are optional ways to play, and many of them can be applied to either the Archon or Sealed format. In the Reversal variant (also known as "Best of the Worst"), you and your opponent swap decks and play. This variant works because the algorithm behind deck creation ensures that every deck is playable. It can be illuminating because even if you lose, your deck wins, and you might learn how to play it better. In the Auction variant, players place their Sealed decks into a common pool before the event and bid chains for the decks of their choice. You might see one deck that's clearly better than the others, but how many turns will you be willing to deprive yourself of cards in order to play that deck? In the Adaptive variant, you and your opponent play best two out of three. Game one, you use your deck. Game two, you use your opponent's deck. If there's a third game, you bid chains for the deck that won the previous two games. In the Survival variant, you start with a number of decks (at a smaller event, this would typically be two) and play in normal tournament rounds… except that if you lose with a deck, that deck is eliminated, and you cannot play it again. In order to stay in the tournament, you need at least one deck to survive! In the Triad variant, you and your opponent each bring three decks to a best-two-of-three match, then choose one of your opponent's decks to eliminate. To win the match, you must win with both of your two remaining decks. And don't forget all the variants that you and your friends might dream up… After all, the variants listed above are just some of the ways the game might be played, and each is a new concoction of decks and player skill and strategy and discovery. Maybe not that one—but is there another variant you can dream up that might add more excitement and enjoyment to your games? You'll have plenty of chances to try new variants during the Dawn of Discovery! Tournament play. Casual play. Archon. Sealed. Apply any variant you want. There's no shortage of ways to enjoy KeyForge and its Organized Play. The game's future holds all manner of events and prizes. After all, this is a game set atop a planet that's been assembled from the fragments of countless other planets. You have alien species, cities, cultures, and technology from all across the galaxy. And the game's Organized Play program can draw from all of these. So buckle up—the flying saucer's about to belt off at full speed. Where are we headed next? You can keep up with our travels by following us on Twitter @FFGOP and #KeyForgeOP. 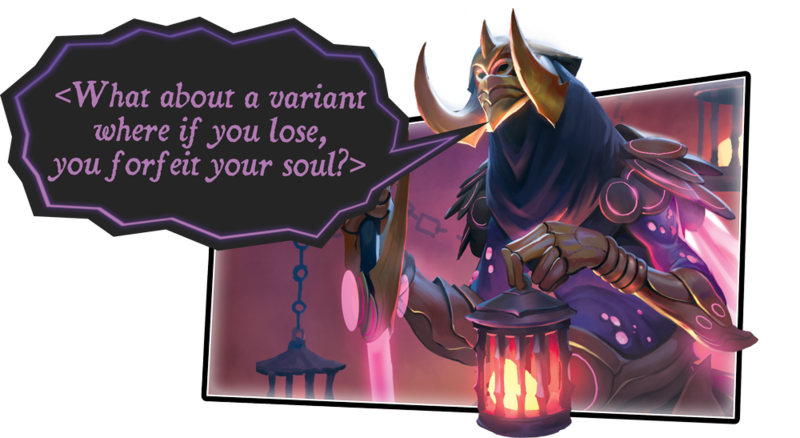 And this week, we're curious to hear which KeyForge format or variant excites you most! No… The answer is not "Brobnar." Brobnar isn't even an option. 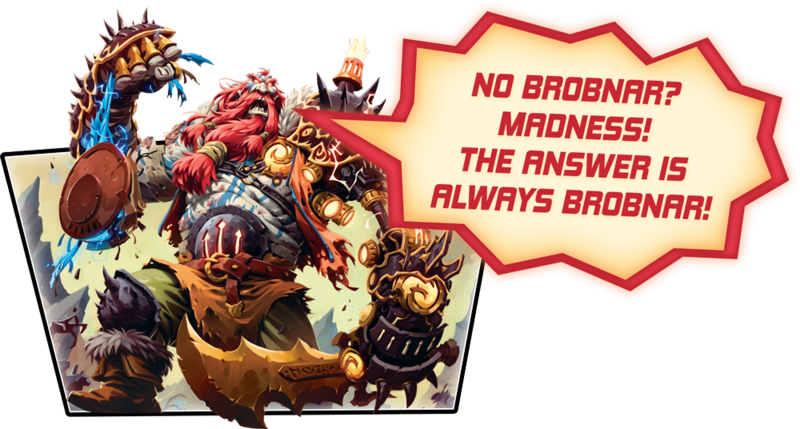 Okay, okay… We want to hear which KeyForge format or variant—or Brobnar—excites you most. 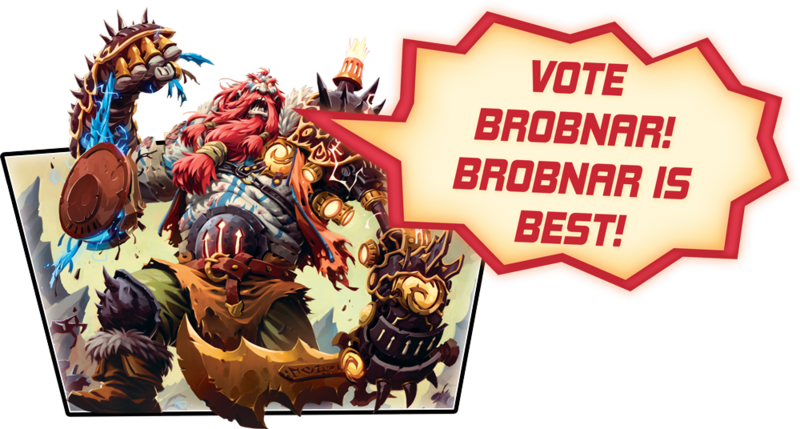 But if you vote for Brobnar, beware the consequences! Note: This article was updated November 21st, 2018 to reflect minor changes to the game's formats and variants.